Yarn: 230, 460 yds of lace weight mohair The Seattle LYS (Local Yarn Shop) tour attracts knitters from far and near for four days of fun, prizes and special patterns. 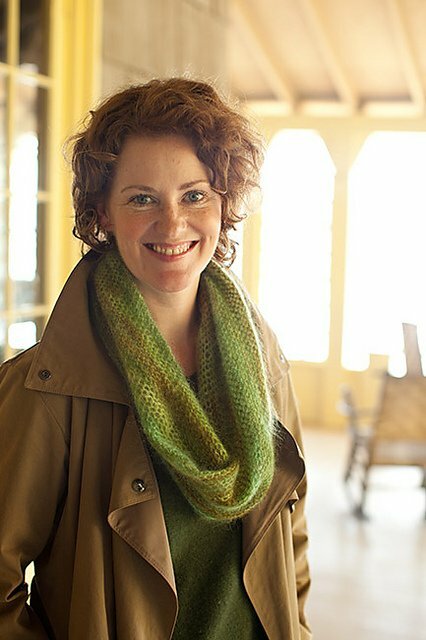 In 2012 Churchmouse's lacy crocheted cowl, designed by Carol Lansinger, appealed to new and seasoned crocheters alike. The mind-bending magic of a moebius loop adds a clever twist to that simplest of stitches, single crochet. Gauge: 10-11 sc = 4"